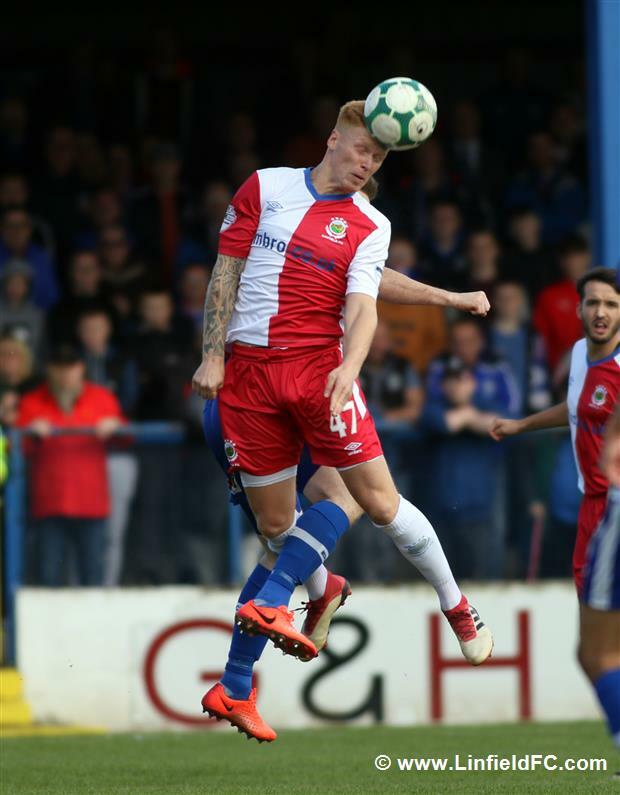 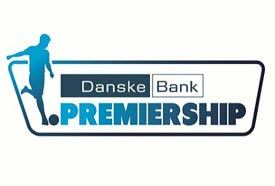 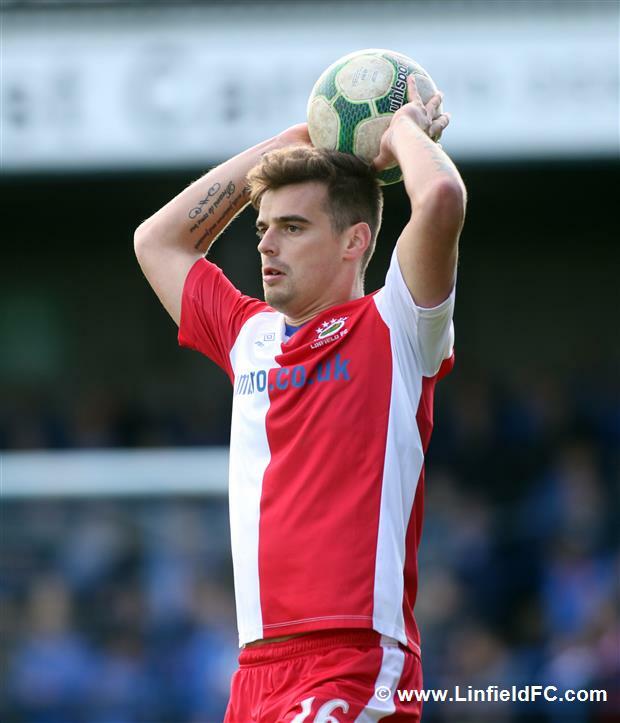 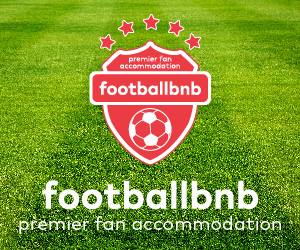 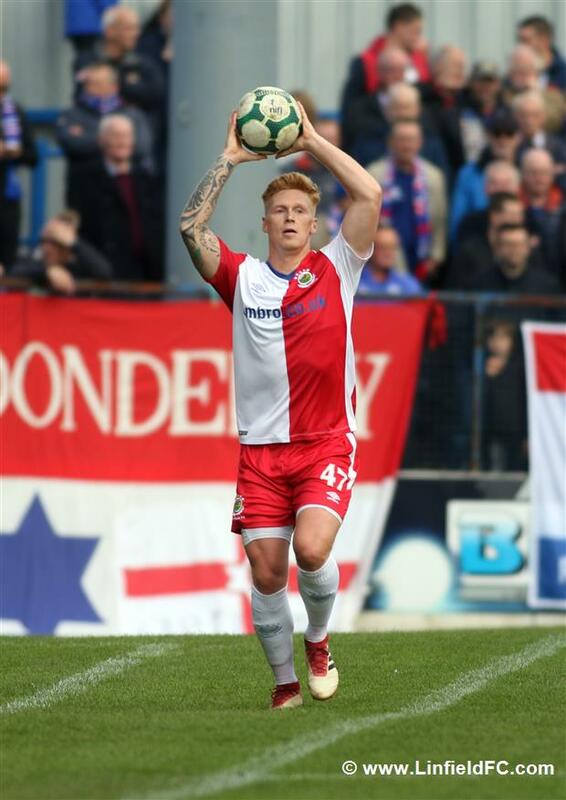 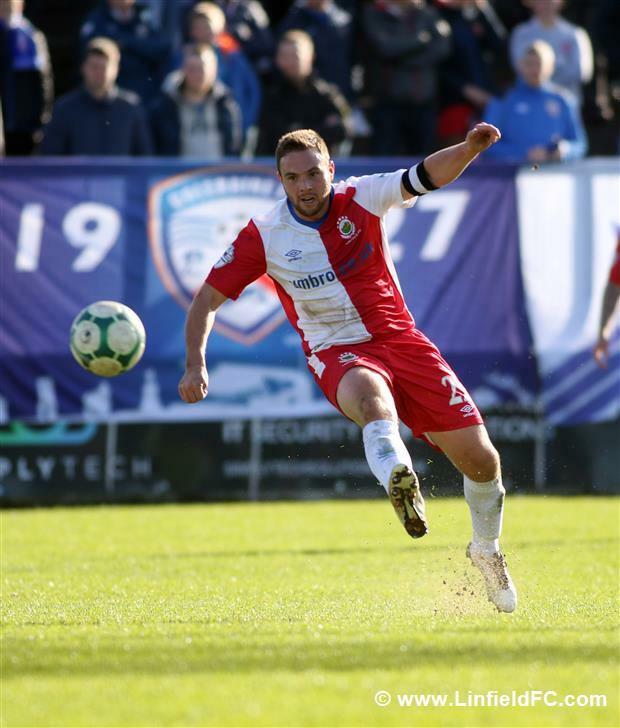 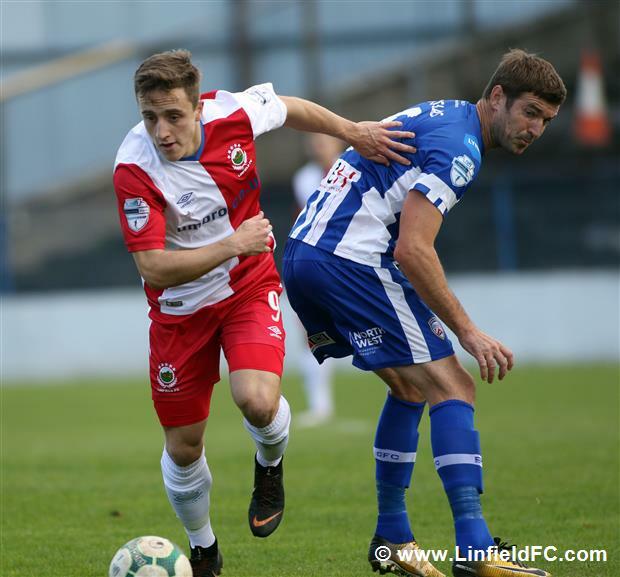 Linfield travelled to the Coleraine Showgrounds on Matchday 8 of the Danske Bank Premiership season in a game which promised drama and entertainment, with both teams coming into the game unbeaten. 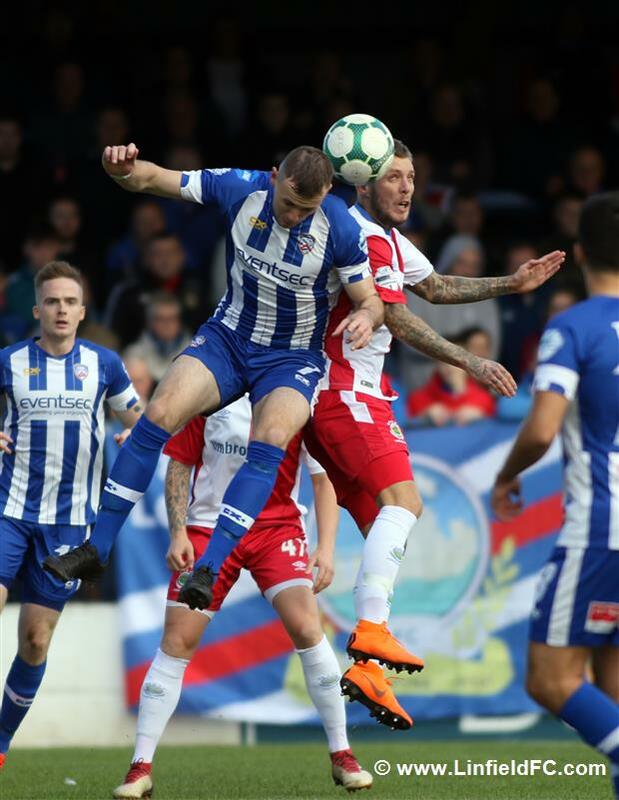 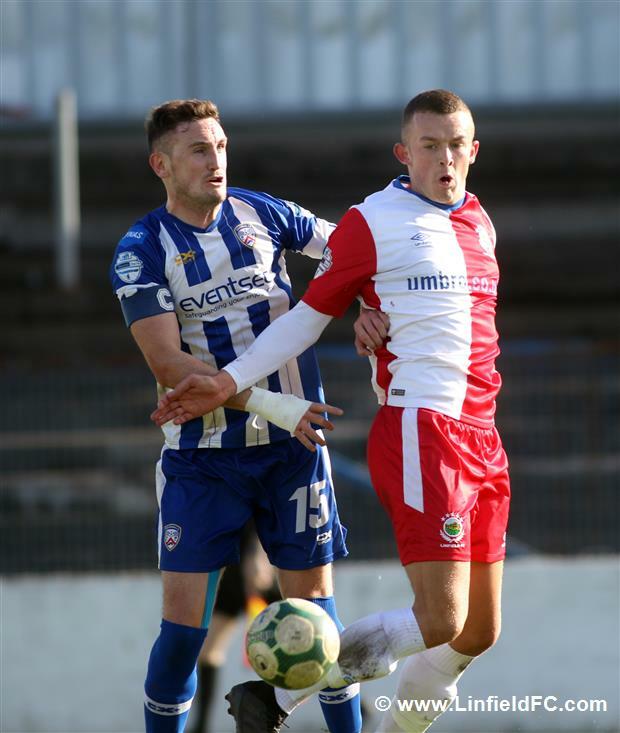 Recently-appointed Coleraine manager Rodney McAree was taking charge of the Bannsiders for the first time to add to the occasion after Oran Kearney’s move to St.Mirren. 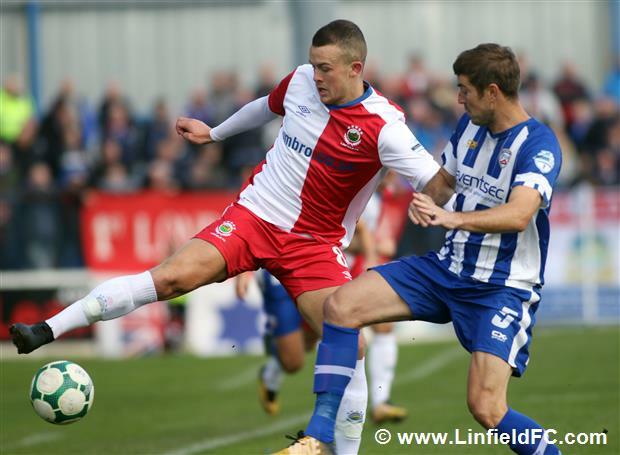 It was a very physical encounter with plenty of meaty tackles flying in but the first half was fairly uneventful with Linfield limited to few chances. 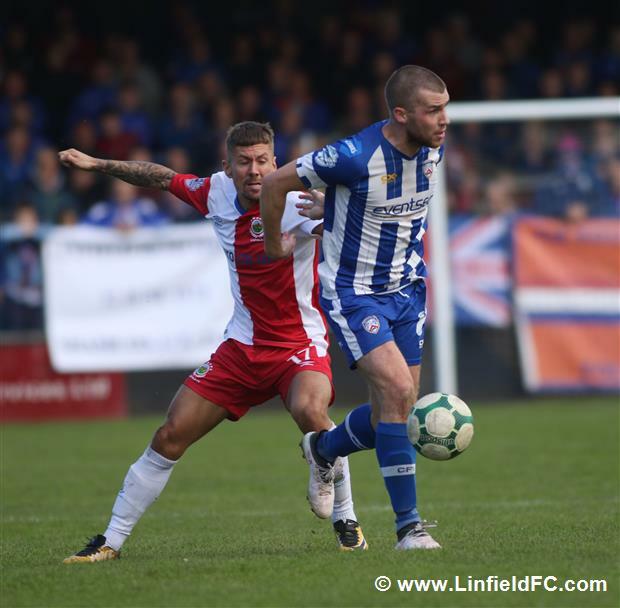 The Blues forced a number of corners but two long-distance volleys from Jamie Mulgrew were all they mustered up, with the audacious efforts flying over the crossbar. 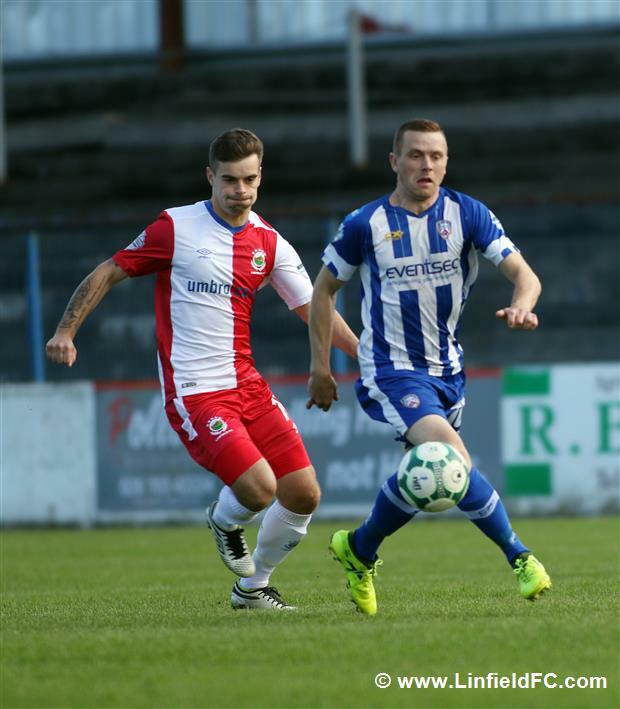 The best chance of the half fell Coleraine’s way when Jamie McGonigle showed his pace to race onto Stephen O’Donnell’s long ball before taking his shot early but it was well kept out by Roy Carroll. 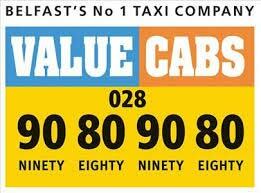 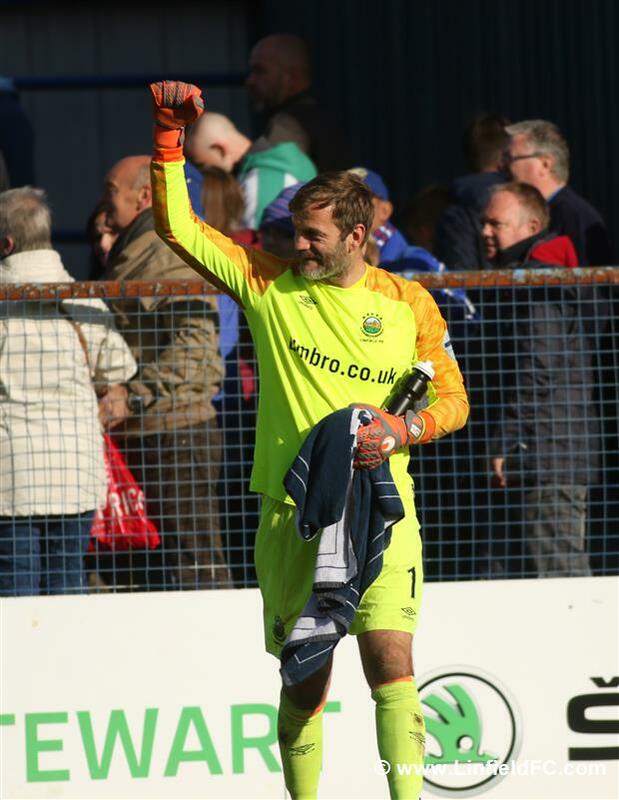 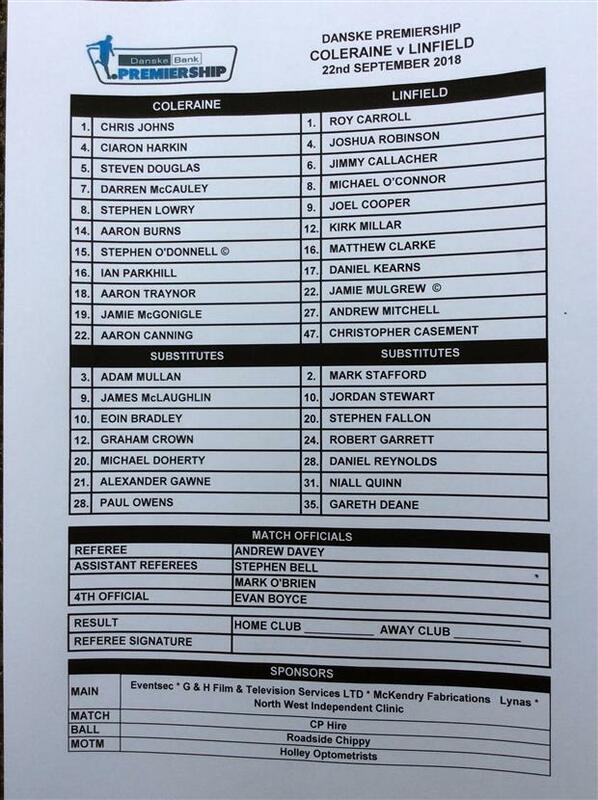 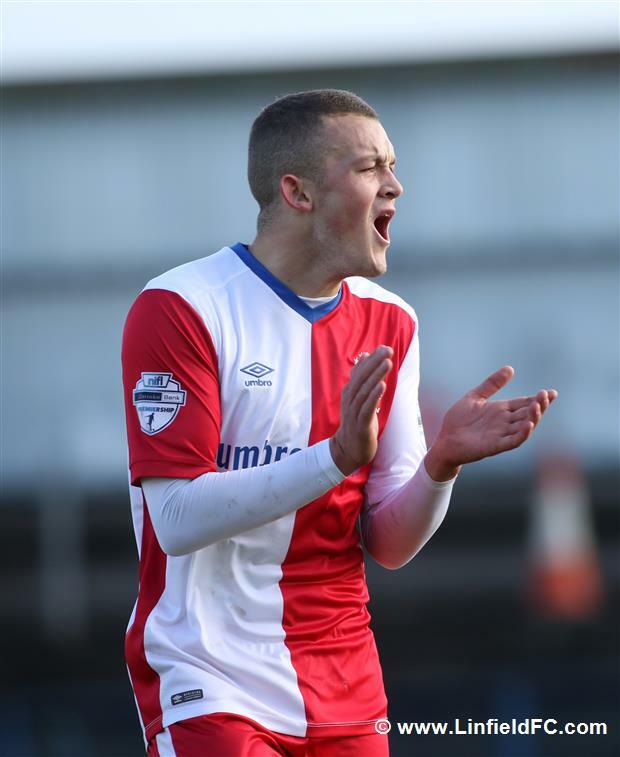 The Bannsiders were denied again by Roy Carroll, who had only conceded one goal in seven outings. 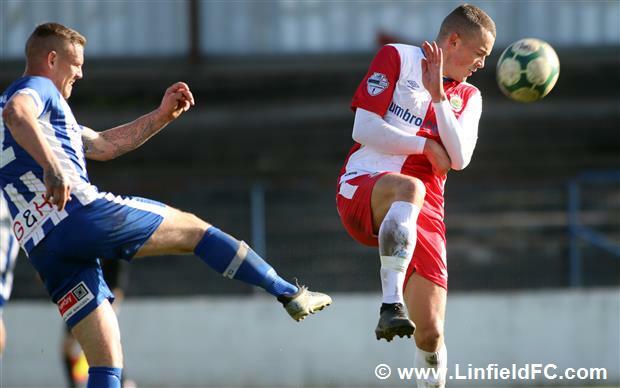 This time it was Ian Parkhill who cut in from the right but Carroll was equal to the low shot and Aaron Burns’ low follow-up strike was superbly blocked by Jimmy Callacher. 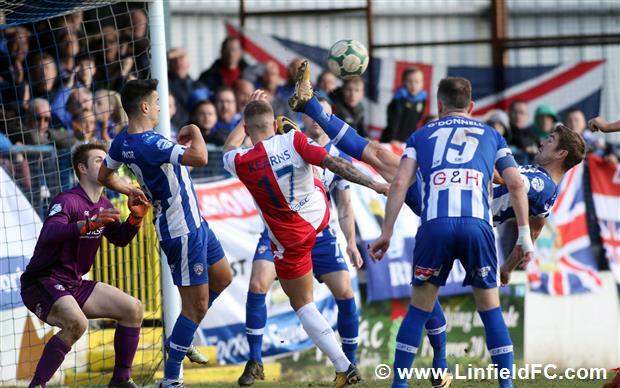 Coleraine had their hearts in their mouths for a slight second in the closing seconds of the half when Stephen O’Donnell deflected Joel Cooper’s cross back towards his own goal but goalkeeper Chris Johns was alert to clutch the ball on his goal line. 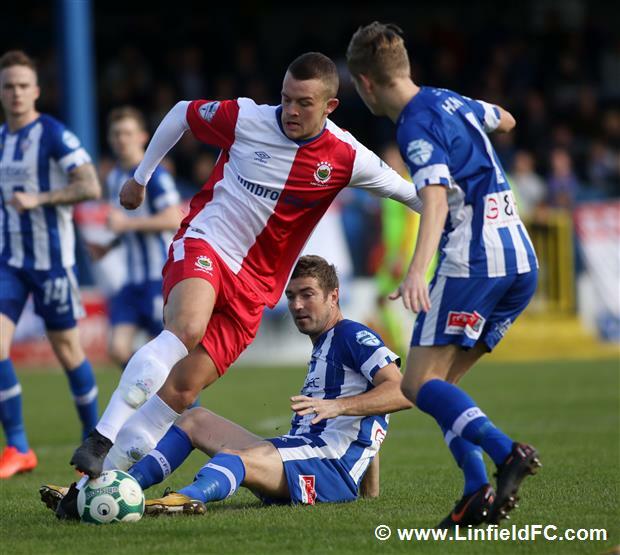 Stephen Lowry almost came back to haunt his old team on 50 minutes when he rose well to meet Darren McCauley’s corner from the right but it marginally dropped past the post. 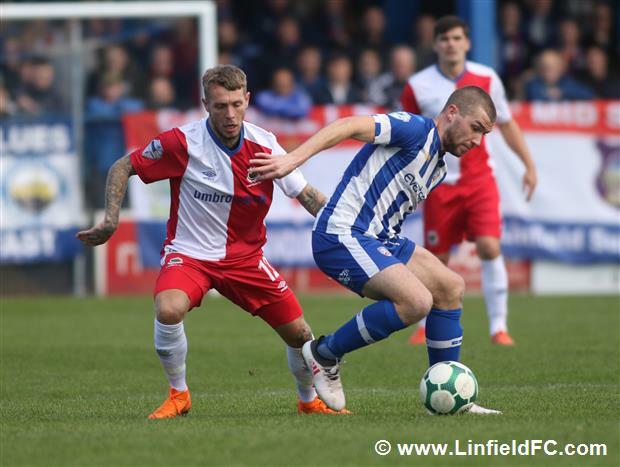 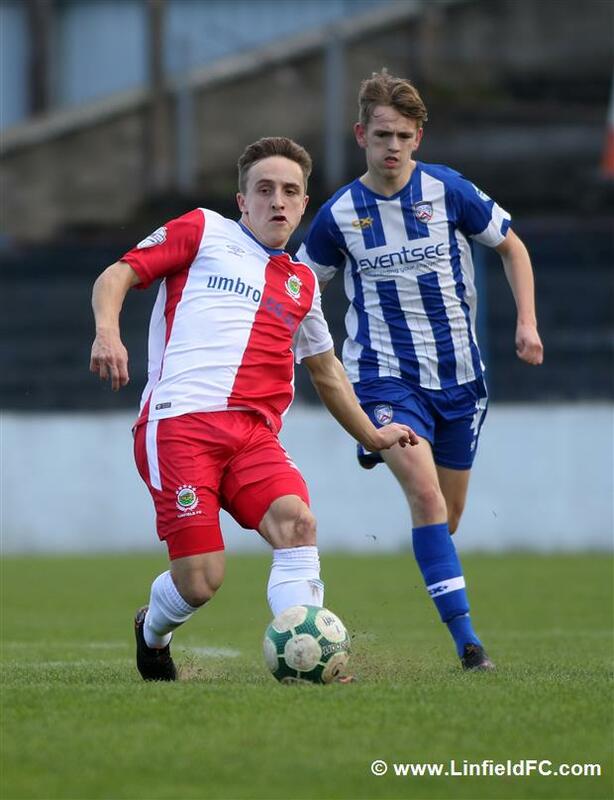 The next big chance came Coleraine’s way and they really should have capitalised when Ian Parkhill’s cross found an unmarked McGonigle in the middle but he headed over from five yards out with the goal at his mercy. 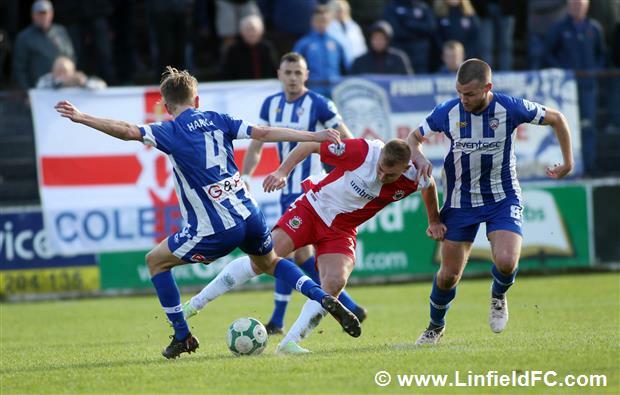 Coleraine had an opportunity to win it in the last quarter of the game when Jamie McGonigle utilised his pace once again to skip onto Aaron Traynor’s through ball but Robinson did well to hold the striker up and when he got his shot away, Roy Carroll did enough to keep it out. 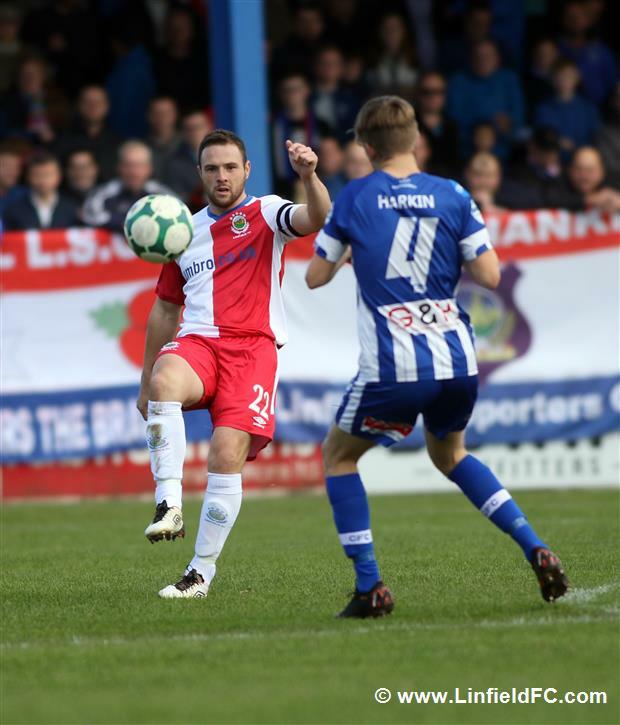 A late onslaught from David Healy’s men in search of a winner begun with Daniel Kearns, as he picked up the ball on the edge of the box, played a one-two and weaved his way into the box but Coleraine ‘keeper Johns did well to keep Kearns’ shot out with his legs. 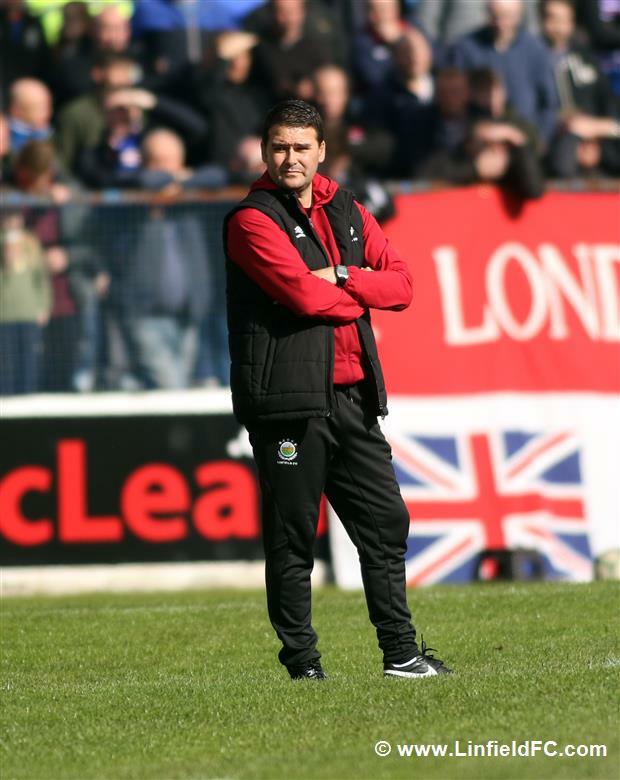 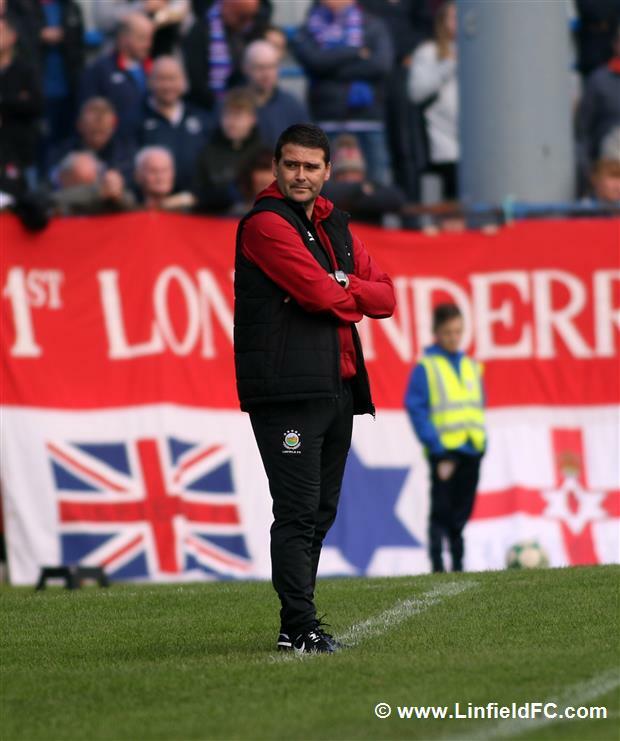 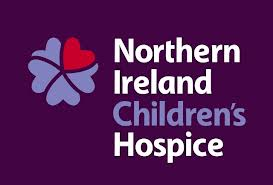 Linfield were denied by the woodwork twice in the last 15 minutes when they pushed for a winner as Niall Quinn fired in a corner and it was Josh Robinson who got across it with a glancing header which crashed back off the crossbar and Coleraine, somehow, scrambled it clear. 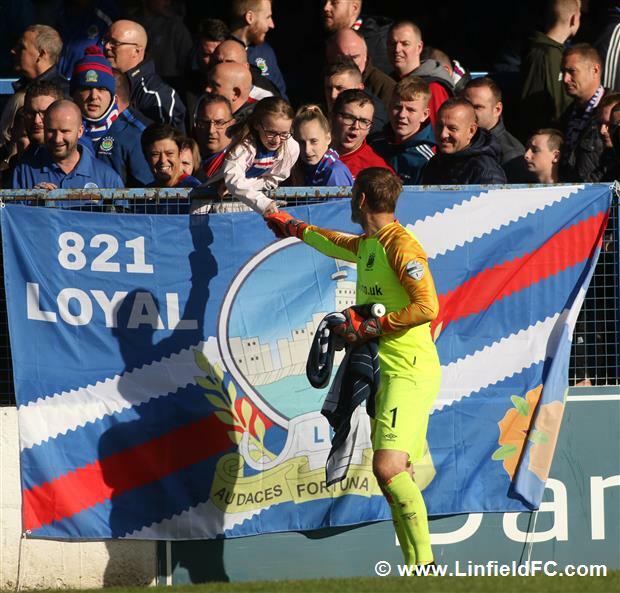 The Linfield players, coaching staff, supporters and officials all gasped in disbelief in the first minute of stoppage time because, in truth, they couldn’t have came closer to snatching victory. 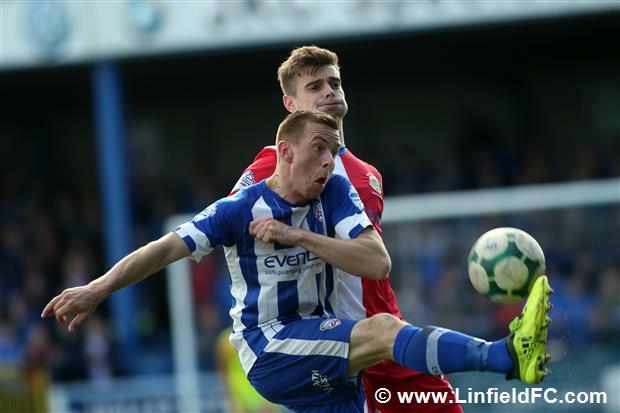 Michael O’Connor took on a strike from distance and a deflection spun it onto the post and they couldn’t quite bundle it home. 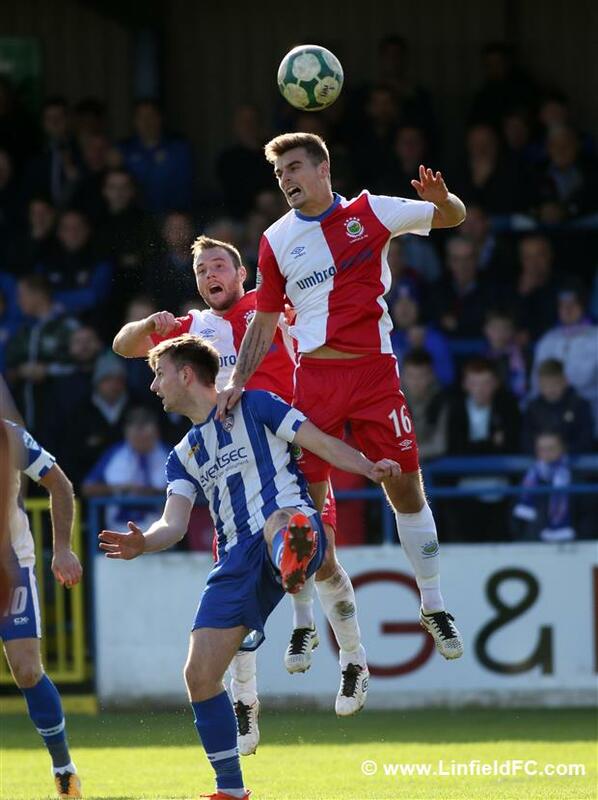 Agonisingly close! 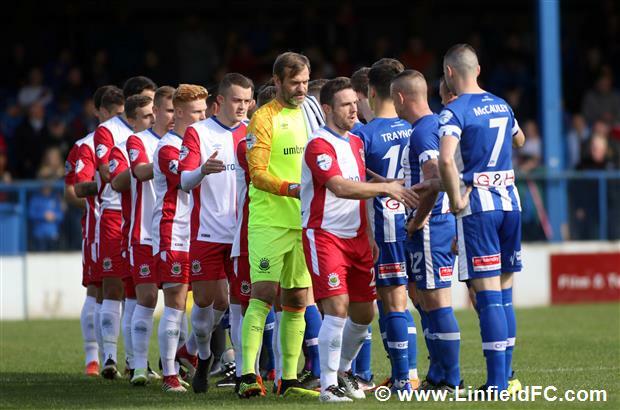 In the end, the Blues will feel very unfortunate not to have taken the three points home, but on a day when defences were on top they will be happy to keep their unbeaten run going at a tough venue, picking up a clean sheet to make it an exceptional seven clean sheets in eight league matches.